On June 13th, Steven Spurrier will be inducted into the Wine Media Guild’s Hall of Fame, Decanter.com reported. I’ve been a member of Guild for several years now, and currently serve as membership chair, and it’s an honor to be able to include Mr. Spurrier in a group of colleagues who have been inducted in the past, including Jancis Robinson, Michael Broadbent, and many more professionals who have changed the way we all drink and consider wine. The ceremony itself will take place during a gala dinner at New York’s Four Seasons, an event I’ll be reporting on in the days following it. If it’s anything like last year, the tasting notes I post here could range from wines that are merely great all the way to the kind of legendary bottlings that most of us have only read about before. Also, click over to John Mariani’s Virtual Gourmet. 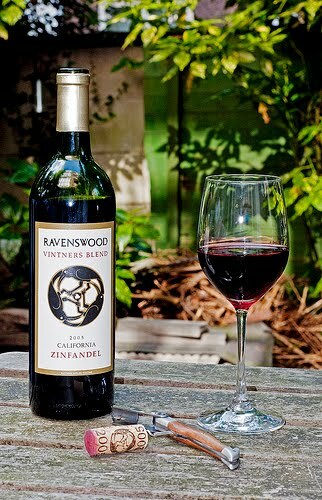 I have a piece in the current issue on the fantastic single-vineyard zinfandels of Ravenswood. If you’ve never tasted them before, I can’t recommend them highly enough: They have the potential to change what you think American’s great grape is capable of.